Waves captured the finest vintage and contemporary amps from Fender®, Marshall®, Mesa/Boogie®, Vox®, and more, using revolutionary sampling techniques that go way beyond standard modeling. The result is the most amazing guitar tones you will ever hear coming out of your computer. 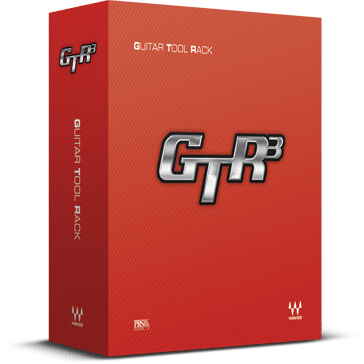 And with GTR3’s host-free Standalone ToolRack, all you need to do is plug in…and play! Whether you’re laying down tracks in the studio or playing live onstage, GTR3 is the only guitar processor you’ll ever need. Native or SoundGrid, Mac or PC, with a host or standalone – anytime, anywhere, you’re ready to rock. Get insider tips on guitar EQ, panning, amp simulation and more from the producers and mixers for Van Halen, Foo Fighters, Rush, Pixies, Nine Inch Nails. The quick start guide to setting up a personal home recording studio for music production: from audio software purchasing to recording your first session - it's easier than you think.